Continuing its strong action against terrorism, the Centre on Friday banned the Yasin Malik-led Jammu Kashmir Liberation Front (JKLF) for promoting secessionism and channelling illegal funds to instigate terrorism in the state. The development comes exactly a month after the separatist leader’s arrest on February 22. 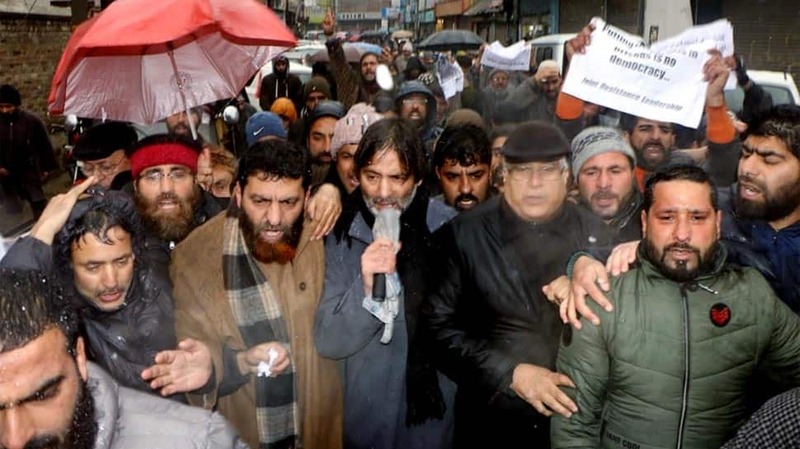 The decision to ban JKLF was taken in a meeting of the Cabinet Committee on Security (CCS) chaired by Prime Minister Narendra Modi on March 22, which incidentally also happens to be the Pakistan Day or Pakistan Resolution Day. Briefing the media, Union Home Secretary Rajiv Gauba recalled how the JKLF was involved in the kidnapping of Mehbooba Mufti’s sister Rubaiya Sayeed in December 1989 and the killing of four Indian Air Force personnel, besides several other acts of terror. Gauba also noted JKLF’s role in “the exodus of Kashmiri Pandits” from the valley in 1990. More than 37 FIRs have been registered by the Jammu and Kashmir Police against JKLF, two cases, including the case of the murder of IAF personnel, were registered by CBI. It is also being investigated in several cases by the National Investigation Agency. Here’s the complete statement of the Indian government, explaining in detail why the separatist organisation has been outlawed. 1. Central Government in its pursuit of strong action against terrorism, has today declared JKLF (Yasin faction) as an unlawful association under the provisions of Section 3(1) of the Unlawful Activities (Prevention) Act, 1967. 6. Jammu & Kashmir Liberation Front led by Md. Yasin Malik has spearheaded the separatist ideology in the valley and has been at the forefront of separatist activities and violence since 1988. Murders of Kashmiri Pandits by JKLF in 1989 triggered their exodus from the valley. Md. Yasin Malik was the mastermind behind the purging of Kashmiri Pandits from the Kashmir valley and is responsible for their genocide.